This Brilliant Bling Earcuff Set is an new, eye-catching look! 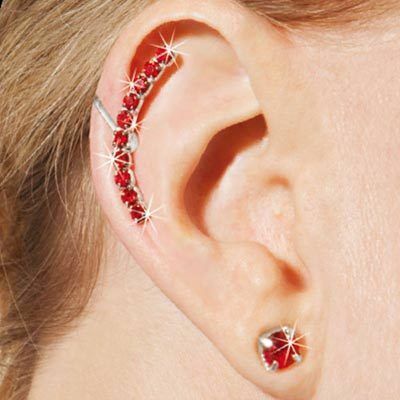 Sparkling, red crystal studs pair up with unique, red crystal arcs that follow the curve of the ear. A clip at top holds arcs in place. Post backs. Studs &frac18;" dia; Arc, 1¼"l.